← Η φραπελιά και οι πρόγονοί της. Μαύρο Google ή blackle: (Υποτίθεται) μία ιδέα του Πανεπιστημίου Κρήτης. Reducing climate change by saving energy is an important effort we should all join, and that’s why we’re very glad to see the innovative thinking going into a variety of solutions. One idea, suggested by the site called «Blackle» (which is not related to Google, by the way, though the site does use our custom search engine), is to reduce energy used by monitors by providing search with a black background. We applaud the spirit of the idea, but our own analysis as well as that of others shows that making the Google homepage black will not reduce energy consumption. To the contrary, on flat-panel monitors (already estimated to be 75% of the market), displaying black may actually increase energy usage. Detailed results from a new study confirm this. One critic, a technology journalist who reviews computer hardware, tested four cathode ray tube (CRT) monitors and 23 liquid crystal display (LCD) monitors, and found that power was saved by the CRT monitors, but was less than that claimed by the blog post that inspired Blackle. 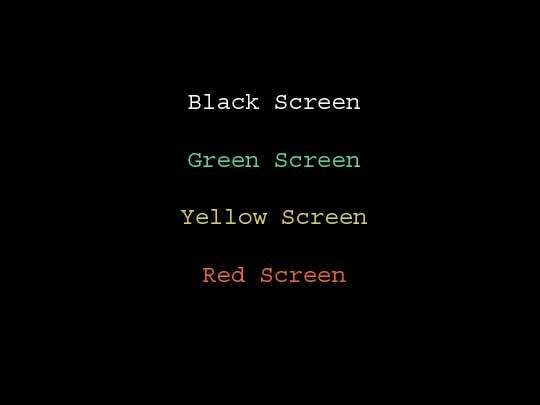 The LCD monitors tested showed increased power use in the majority of cases, although most of the larger (24 inch) monitors did use less power displaying a black screen. turn on the power management features. Virtually all computers today have the ability to switch into low-power modes automatically when they’re idle; very few computers have this capability enabled! Here’s how to do it on computers running Windows XP. Google Israel is sporting an all black theme today, in support of Earth Hour’s efforts to raise awareness around energy conservation. From the page telling confused Israeli’s what’s going on. Google users in Israel will notice today that we “turned the lights out” on the Google.co.il homepage as a gesture to raise awareness of a worldwide energy conservation effort called Earth Hour… Google has a long history of caring about all things green… I won’t even bring up the irony that Google, according to the study they cited, is actually increasing energy usage in Israel by having a black home page. The point is, people, they care. 4. Η Google αν και επίσημα δεν υιοθετεί τη πρωτοβουλία αυτή, υσχυριζόμενη πως δεν έχει ικανοποιητικά αποτελέσματα κάποια στιγμή υιοθέτησε το μάυρο φόντο και η ίδια στα πλαίσια του EarthHour!